From our years of experience in content marketing, we at Webati have never failed to be surprised at what people consider, or do not consider, to be content. Let’s say you are an employee of a firm whose primary job is to create PowerPoint presentations for your company, clients, and websites. This is still considered content, so are press releases. These are responses we’ve received from people who actually work in marketing firms. If even one member of your staff fails to understand that they are producing content, then it is a sign or symptom that there is an underlying problem present. Many of our clients fail to understand how important it is to have their communications align with one another across their company’s different departments. Different employees are going to work together in the creation, generation, and dissemination of content in marketing, and it is critical that they learn to work as one unit. In order to be successful at content marketing, it is going to be essential for your business to adopt an up and down stream approach. Your employees are going to need to be well versed in both in the strategy and practice of content marketing, but equally as important, they need to be taught how to do this effectively and in an efficient manner. If you want your organization to be truly effective at content marketing, then it is going to be imperative that your senior management adopt and support this cohesive approach. Senior management is going to provide the support that your staff needs to be successful. So what exactly does this entail for your senior management staff? 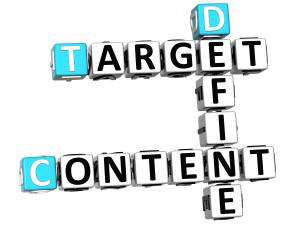 One example is that they must recognize and reward relevant content creation. An understanding of the content’s value is essential, but they need to also understand the importance of being proactive and moving quickly when your content is digitized. There also needs to be an understanding of the role of content within your business. This includes fulfilling the need to appoint a person within senior management to oversee and manage content initiatives and production. The dawning of the digital age has redefined the concept of a traditional marketing firm. Even if you do not specifically own or operate a media company, you need to recognize that your firm is still generating content 90% of the time, and now is the time for you to become strategic and organized about its production.